Prem nath & brothers is as an iso 9001 -9002 Company and a trusted name in manufacturing and supplying of construction equipment and machinery for building materials for more than two decades. All the machines manufactured by 'prem nath & brothers' are working most efficiently and economically throughout India as well as abroad. The company products have been exported to Srilanka, Ethiopia and other African / and Arab countries by many reputed Export companies like Tata Exports Ltd. etc. 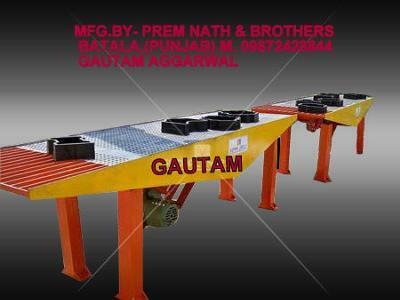 prem nath & brothers construction equipments and building products machinery like concrete cutting machines, asphalt cutting machines and many more are very reliable, passes international standard quality and are manufactured under supervision of technically qualified and experienced team of engineers and as per international standards. 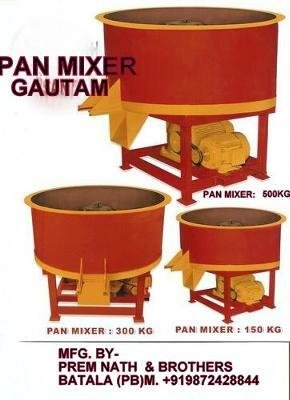 'prem nath had supplied and successfully commissioned many number of brick/block manufacturing plants to j&k,himachal Pradesh,Haryana,rajasthan & many more states 'prem nath & brothers concrete mixer,lift mixer,concrete block making machine,interlock tiles/paver stone making vibrating table machine,pan mixer, have been running successfully for the past several years at various places throughout India. 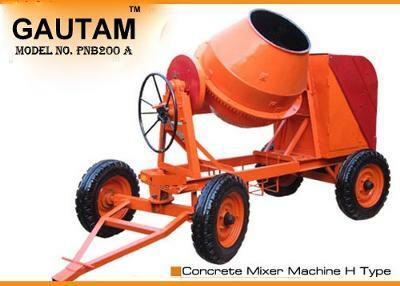 prem nath & brothers is the renowned manufacturer of not only the machinery for precast concrete products,concrete mixer,concrete mixer with lift,interlock tile making machines, concrete block making machines but also manufacturing all types of woodworking & industrial product, bar bending & cutting machines, concrete buckets,drum winches, etc. prem nath & brothers introduced many new models, innovative designs and new items in its range of products. Its R&D department, is always busy in developing new products and technologies. The service technicians provide prompt service back-up to our customers. The company also has technical representatives/agents in the country as a part of service network. The company also provides training to our customers to operate construction machinery.